A growing list of Democrats plan to boycott President Trump’s first State of the Union Address in the wake of his alleged "shithole countries" remark. 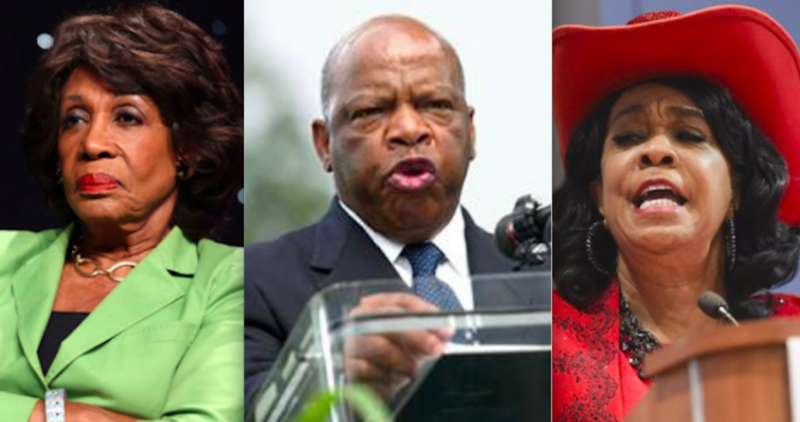 So far, House Democrats Maxine Waters (D-Calif.), John Lewis (D-Ga.), Frederica Wilson (D-Fla.), and Earl Blumenauer (D-Ore.) have announced that they will skip the Jan. 30 address, Fox News reports. It is expected that more announcements are yet to come. "Why would I take my time to go and sit and listen to a liar?" Waters said on MSNBC Friday night. "Someone who lies in the face of facts, someone who can change their tune day in and day out. What does he have to say that I would be interested in? ... He doesn't deserve my attention." "The United States of America is represented by the most despicable human being that could possibly ever walk the earth," she went on. "Not only is he racist, he is an embarrassment for this country." “I just cannot do it. I wouldn’t be honest with myself,” he said. All four House Democrats skipped President Trump’s inauguration. Trump defended himself on Sunday, referring to himself as "the least racist person you will ever interview." He has denied ever making the derogatory remark but admitted to using "tough" language during a meeting on immigration at the White House last week.